As online giving grows, many churches are looking at programs that would give their members a way to donate virtually. For small- and mid-sized churches, though, finding the right online giving program is often challenging. There is a plethora of choices, but many solutions’ fees are too large for smaller churches. Setup, monthly and transaction fees would eat up a significant portion of any donations made online. If your church is relatively small and looking for an online giving solution, though, there are a few low-cost options. Here are four that are worth looking into. PayPal Donations has low fees and a decent user experience. With PayPal Donations, there are no setup, monthly or cancellation fees. Your church will only pay 2.2 percent plus $0.30 per transaction, which is among the lowest transaction fees in the industry. When donating through PayPal Donations, members will be taken to a page on PayPal’s website that cannot be customized. They’ll see the PayPal logo, and they won’t see your church’s logo. (They will see your church’s name, though.) Members don’t need to have a PayPal account to give. They can donate as a guest by entering their credit or debit card information. PayPal is a good solution for small- and mid-sized churches that want to keep their costs minimal but also want to provide an easy online giving solution. Some churches may not want to use PayPal Donations because of the company’s stance on homosexuality and past treatment of Christians whose views on the subject differ from the company’s. Issues like this must be considered individually by each church, though, as many companies have both good and not-so-good policies. As far as processing online donations goes, PayPal is a fine and inexpensive choice. 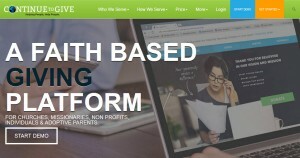 EasyTithe offers a customizable yet affordable giving solution. The company will work with your church to create an app that complements your church’s branding. When members go to give, they’ll be taken to a page that has your church’s logo and looks like it’s part of your church’s website. While EasyTithe’s fees aren’t as low as PayPal’s, they are some of the lowest fees available for a customized giving interface. 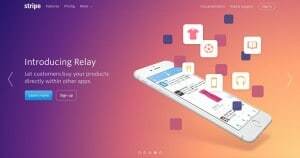 The company doesn’t charge setup or cancellation fees, and one of its three plans also doesn’t have any monthly fees. That plan’s transaction rates for most credit cards are 3 percent plus $0.30 per transaction. (If transaction fees don’t total $10 or more in a month, EasyTithe charges a monthly minimum total of $10.) For churches that have lots of online donations, there are plans with monthly fees and lower transaction fees. 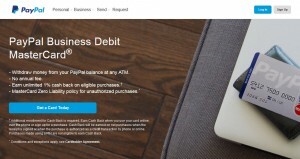 As a distinctly Christian solution, EasyTithe offers a unique option to only accept debit cards. Declining credit cards not only reduces how much your church would pay in transaction fees, but it also helps people avoid going into debt when donating. With no limit on the number of users or donations, EasyTithe is a solid choice for any sized church that wants a customized and affordable giving solution. The option to only accept debit cards and eChecks also makes it perfect for any church that follows Dave Ramsey or Crown Financial Ministries. Stripe is another affordable solution that can be customized for your church. Like EasyTithe’s basic plan, Stripe only charges transaction fees. Stripe’s transaction fees for credit cards are 2.9 percent plus $0.30 per transaction, regardless of whether a Visa, MasterCard, American Express or Discover credit card is used. Stripe doesn’t offer customization services, but the platform is built so that developers can easily customize the platform for their own organizations. The code is “built for developers,” and the company’s website boasts “robust, clean APIs.” There are sample APIs in a variety of programming languages that developers can try on Stripe’s website. Stripe is an excellent choice for small- and mid-sized churches that have a developer who is willing to customize the API for the church’s website. The company’s fees might be slightly high for larger churches that receive lots of donations, but they’re reasonable for churches receiving a small or moderate number of online donations. For churches that have a web developer who wants to serve, Stripe is the most customizable solution. Churches that don’t have a willing developer, however, will want to consider EasyTithe instead. Continue to Give has two plans. The first is has no monthly fees and transaction fees of 3.9% and $0.60 per transaction. That plan would be ok when you’re getting started. Then as your online donations increase you can switch to their $29/month plan. Yes there’s a monthly fee but for that you get a nice drop in transaction fees to an average 1.5% and $0.30 per transaction. Continue to Give offers a comprehensive giving solution that includes giving kiosks, mobile giving and giving on your church’s website, and the company provides an unlimited number of projects and fundraisers. The company will also work with churches to create customized giving forms, making Continue to Give similar to EasyTithe. Continue to Give is distinct from EasyTithe and other church-focused online giving solutions in one specific aspect: Continue to Give has a feature that makes supporting missions easy. Missionaries in churches can use Continue to Give to manage their fundraising efforts, and members going on short-term missions trips can also raise support through the platform. 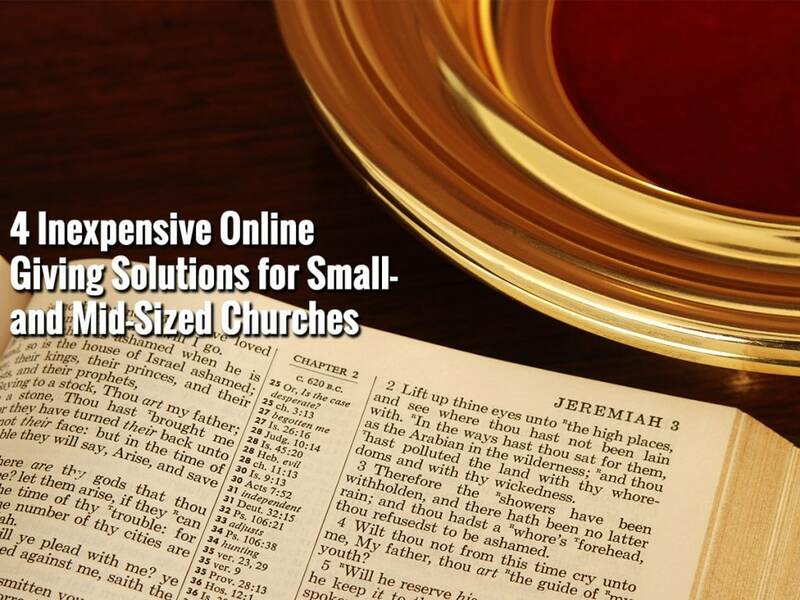 Each of these online giving solutions will serve certain churches well. None of them are meant as a one-size-fits-all solution, for small- and mid-sized churches have diverse needs. As your church considers who is likely to give online, how the church wants its online giving page to look and whether anyone is able to help set up a giving platform, the right choice will become clear. 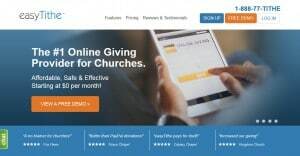 These are four of the best online giving solutions for small- and mid-sized churches, and one of them will serve your congregation well. I’d like to add GivingTools.com to the mix for folks to consider. GivingTools offers lower rates than any of these options and can support echeck-only donations, if you like. It also does recurring donations and can track traditional gifts (cash and check) too. Wow!!! This is just what I was looking for. I have an appointment with a company who was running a promotion that ends today The cost is $59.00. It would normally be $99.00. I was looking online to find a comparison. Your post has helped me greatly. My church has less than 100 members. Question: Does East tithe have the capacity for Mobile giving? LifeWay eGiving offers affordable online giving for churches also. Plans are available with a $0 monthly fee and there are no cancellation fees. I am the Ministry Director for “My Well” for TransNational Payments. We give churches & ministries credit/debit card processing for our costs. From a pure costs standpoint, if your volume is $1,500 per month or less, PayPal or EasyTithe will be the lowest cost for you because they do not have monthly fees. If you are doing $1,500 or more per month in volume, our ministry will be the lowest option since we do not profit on your account and that is enough volume to spread out the monthly costs that we do have. Our company makes our money from regular businesses and we have made the decision to never profit on the backs of churches or ministries. This truly is a gift and we are not trying to compete with other software/processing companies. We can integrate with most software companies. Does anyone know of a service that offers free ACH? Paypal allows free cash gifts to individuals but as soon as you set up as a charity it charges a fee. I know of other services for landlords (Cozy.co) that offer free ach transfers for rents, etc. Know of anything like that for cash charitable giving? I get paying credit card fees, but can’t figure out the cash penalty on a charity. One additional option is https://www.securegive.com they were one of the early sites in this area, and have a full suite of tools, from Kiosks, to apps, to mobile and text-to-give. Stripe is now offering fees of 2.2% plus $0.30 per transaction for non-profits as well.